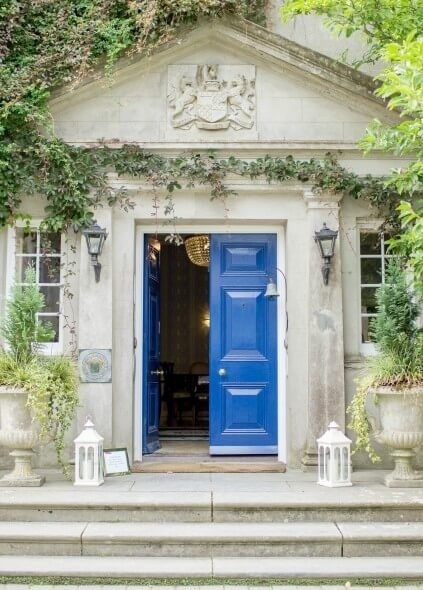 Dunbrody Country House Hotel Ireland a luxury boutique hotel in Co. Wexford. Located on the dramatic Hook Peninsula on Ireland’s south coast, Dunbrody House is owned and operated by husband and wife team Kevin & Catherine Dundon. This luxury hotel in Ireland reflects their joint passion for excellence in all areas - fine food and a friendly, relaxed service combined with luxury accommodation all within the centuries-old walls of this beautiful Georgian property. Indulgence is the order of the day at Dunbrody with world-renowned gourmet restaurant, chic champagne seafood bar and breakfast til Noon daily. Couple this foodie focus with our aim to please and pamper and you get a feel for what Dunbrody House is loved for. Set in 300 acres of parkland on the idyllic Hook Peninsula on Ireland’s south coast 1830s Dunbrody really is the perfect year-round choice for a romantic getaway to the country. A long-time member of Ireland's Blue Book Dunbrody House offers an authentic Irish country house experience. For the culinary inquisitives there’s the temptation of our cookery school with a range of 1, 2 & 5 day courses and for those seeking some me-time there’s the luxury boutique Spa. Visiting our Sunday market, enjoying the Sunday Jazz brunch in and sampling of the “craic” in our traditional Irish pub “The Local” are also Must Dos. For those seeking to discover the delights of Ireland’s Ancient East we offer a host of packages featuring some of the top attractions from right here in the heart of Irelands Ancient East – the Hook Lighthouse, Dunbrody Famine Ship, Tintern Abbey, the Kennedy Homestead… and much, much more.